LRT vehicles are smaller and slower than subways, but travel faster and carry more passengers than streetcars or buses. Subways are larger and longer – a subway train can hold up to 1500 passengers (in ‘crush’ conditions). 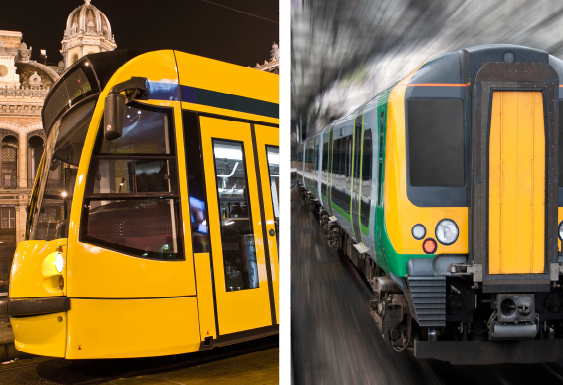 An LRT can hold 255 people in each vehicle, and it can be linked into a train of two or more cars. Like a subway, LRT vehicles can be boarded through all doors at ground level, making them wheelchair accessible and reducing loading time. Subways get their power from an electrified rail below the train – this requires larger stations, more infrastructure and safety separation. LRT can run aboveground at street level, like streetcars, however they operate in separate lanes, meaning they are not affected by car and truck traffic. LRT can also run underground, like subways through tunnels to avoid conflicting with roadways. LRT stops are planned to be about 500 metres apart, but closer than subway stops.